The excavated archaeological site of Pompeii is unlike anything you’ll ever see. Yes, you should visit! But the site gets 3 million annual visitors, so we have some tips to help you make the most out of your visit. 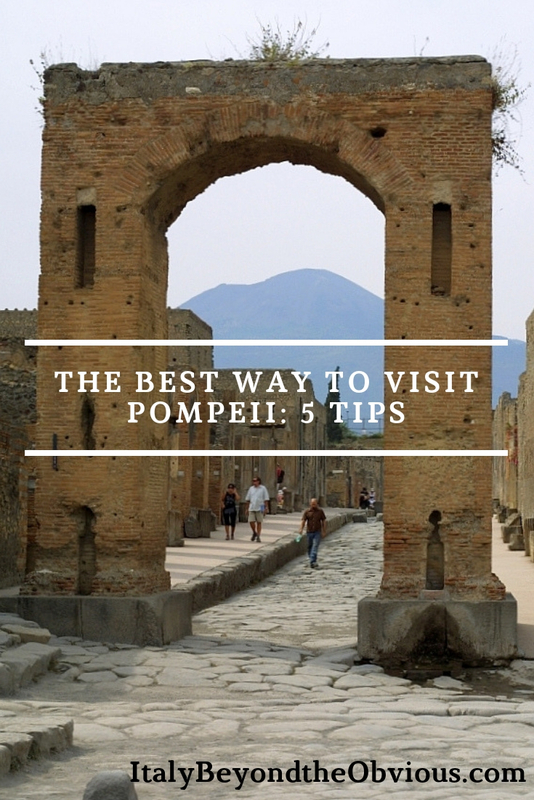 What’s the best way to visit Pompeii? Follow our 5 tips below. 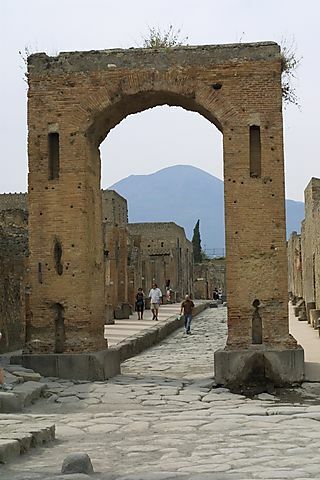 Once a thriving and cosmopolitan city of the Roman Empire, Pompeii and its inhabitants were frozen in time when Mount Vesuvius erupted in 79 AD and buried the city under layers of lava. Excavations began in about 1748 and since then a lot of the city has been uncovered, allowing the visitor to walk the streets and get a good idea of what life must have been like for people living in Pompeii under the Roman Empire. Chicago’s Field Museum had an amazing exhibit on Pompeii a couple years ago, and did a great write-up describing the day of the eruption in detail and the experience for the tens of thousands of inhabitants who tried to flee. Wear comfortable shoes, bring a hat, sunglasses, sunscreen, and a water bottle. Pompeii is an excavated town. It’s a huge site, and there isn’t a lot of shade. Most people spend about 3 hours there, only because that’s about the length of time someone can absorb new information. During that half-day, you’ll be on your feet, and most likely under the hot sun. The best way to visit Pompeii starts with your own comfort. Don’t go on free Sundays. Pompeii gets 3 million annual visitors, and it’s crowded on days even when there isn’t free entry. Admission is not expensive, and in my opinion it is not worth longer lines and more crowds just to save the entry fee. (You flew all the way to Italy after all!) If you really want to avoid crowds, visit the equally impressive archaeological site of Herculaneum instead. Herculaneum (Ercolano in Italian, which you need to know in order to get off the train at the correct stop!) gets only 300,000 visitors per year and is just 10 minutes away. The best way to visit Pompeii is with the fewest crowds possible. Hire a guide. Remember, you’ll be walking through a 2,000 year old excavation of a town. The site is huge, and a guide will make sure your time is spent efficiently. A good guide will keep you — and the kids — engaged with storytelling and historical context. 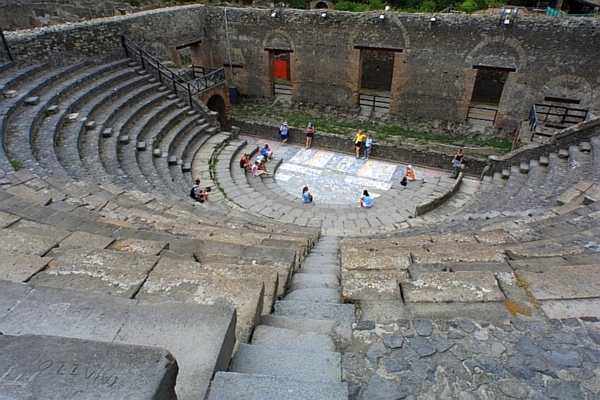 A half-day private guided tour of Pompeii is not as expensive as many people imagine. [2018 rates for the private guides we use at Italy Beyond the Obvious are about $250 for a 2.5 hour private tour.] 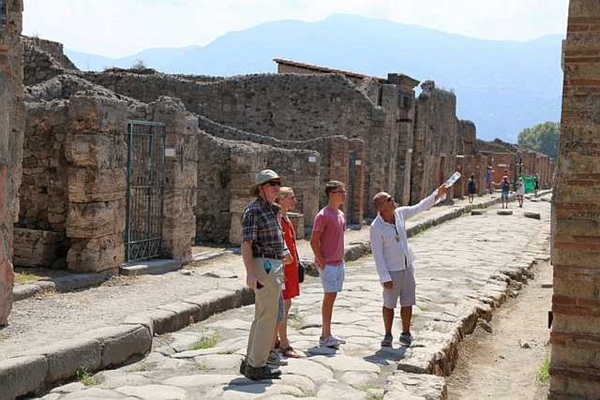 The best way to visit Pompeii is definitely with a private guide. Do not rent a car. There is parking at Pompeii, but the Circumvesuviana commuter train and its faster tourist cousin, the Campania Express, stop right in front of the gates of Pompeii. This train goes from the Naples Central train station to Sorrento, and stops at both Pompeii and Herculaneum on the way. And, since Pompeii has luggage storage, it’s easy to visit on your way from Naples down to the Amalfi Coast. If you don’t want to worry about hauling luggage on and off trains or getting pickpocketed (! ), hire a driver. The best way to visit Pompeii is by train, or hire a driver. We strongly recommend not having a rental car in Naples or the Amalfi Coast. 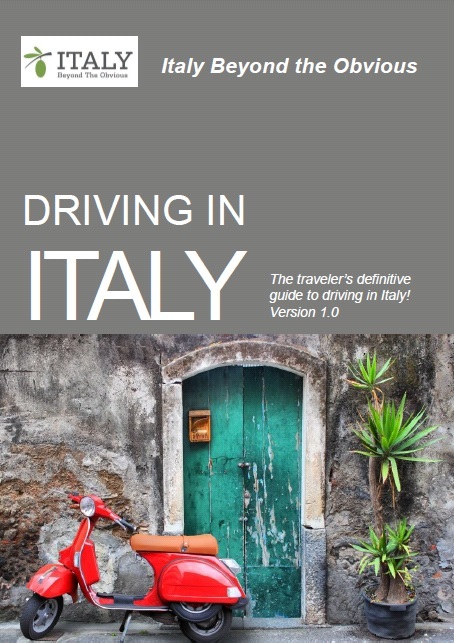 More advice on Driving in Italy can be found here. Visit the archaeological museum in Naples. When Pompeii was excavated, they found lots and lots of pots, sculpture, and other artifacts that were used in the daily lives of the inhabitants. These artifacts were removed from the site and are currently housed in a wing inside the archaeological museum in Naples. Allow about 2 hours to visit this section of the museum. Ideally hire that private guide to take you! 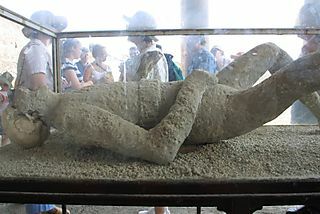 The best way to visit Pompeii definitely includes adding this additional context. A close second would be to go up Mount Vesuvius, the volcano that buried Pompeii. 8.40 AM Train arrives at Naples Central Station. [We book drivers, but for anyone who wants to take the train: the Campania Express train is about a 20-minute walk inside the station. Trains come every 20 minutes or so, and then it’s about a 40-minute ride to Pompeii.] Driver to Pompeii, usually with a stop for local pastries on the way. 10 AM Arrive Pompeii, meet private guide. 7.40 PM Train arrives in Rome. Taxi back to hotel.